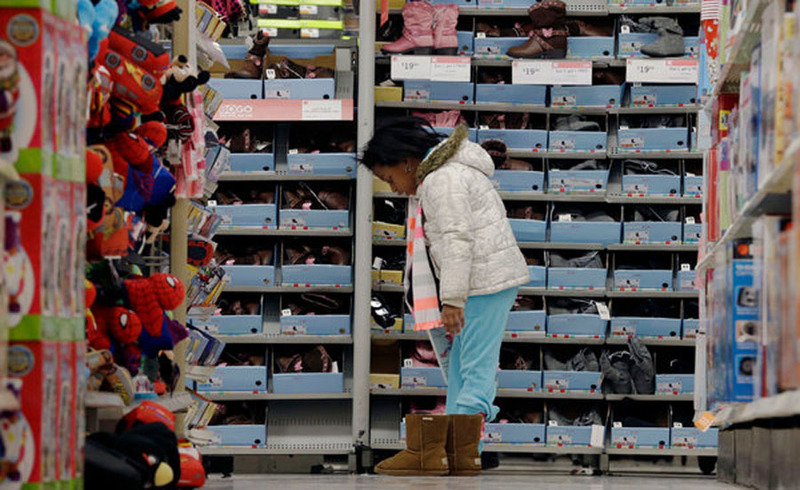 A young girl tries on shoes at Kmart on Thursday. Every year, more stores are opening on Thanksgiving and keeping their doors open for longer hours. - high-definition photo for free download.